The cause of death of Michael became a lion in the house. A shocking case has emerged from the Czech Republic. Here a man was killed by his pet lions. According to the report, 33-year-old Michael placed lions in the enclosure behind his house located in the zdechov village. From where his body was found. 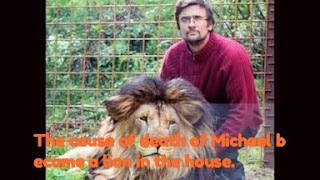 Police say that both lions were unconscious to remove Michael's corpse. Michael had laid a lion and lioness behind his house. He came with a lion in the year 2016.